The Origins Of Success Can Come From Surprising Places. Anyone who knows local businessman Vince Manzone will tell you he's one of the most driven and active people you'll ever meet. You might run into him at the gym, where he works out at least five times a week. You might find him on the golf course, challenging him to master the game he loves. You might see him at the movie theater, after he and his wife have convinced their two teenage daughters to spend some quality time with the family. Indeed, Vince is always on the go and striving to live life to the fullest. You might be surprised, however, to learn the origin of his strong work ethic and go-getter personality. After being raised in Toronto and graduating from high school, Vince was accepted to Ryerson University. He was young and on his own for the first time. He made new friends, but perhaps he had a bit to much fun and didn't take his school work as seriously as he should have. As a result, his grades slipped and ultimately he decided to change schools to Humber College closer to home. He went on earn his diploma in Industrial Engineering Technology while using experience at Ryerson to teach him a valuable lesson. "I felt like I let myself and my parents down, and I knew I never wanted to feel that type of regret ever again," Vince says. "After that, I always made sure I followed through and gave 110 percent effort to anything and everything I do." Vince believes that if something is worth doing, it's worth doing well. His real estate career is no exception. He earned his real estate license in 1990, and in that time since, he has earned a reputation for going above and beyond the call of duty to help his clients achieve their home buying and selling goals. He takes the business very seriously, listening carefully to his clients' objectives and handles the most important facets of their transaction. Anything his clients need, Vince is there with advice based on his many years of industry experience. When you work with Vince towards the sale or purchase of a home, it's easy to see how much he enjoys his job. He applies his energy and passion to everything he does. He loves the fact that in real estate, everyday is different and presents new challenges to overcome. He also enjoys sharing his engineering background and construction knowledge with his clients in order to help them see the potential a home or stage their property for maximum impact. Drive to Succeed.Expectations to Exceed. 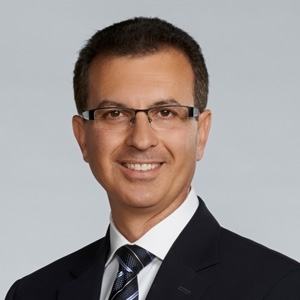 If you are considering a move in Woodbridge, Kleinburg, Maple, or King, Vince Manzone takes his responsibility very seriously, holds himself to high expectations and will devote his undeniable work ethic and drive to help accomplish your real estate goals. With the Drive to Succeed and Expectations to Exceed, he's sure to make your move a complete success. Call him today to schedule a private consultation.